The rules that apply are the same with those mentioned in chapter 3.1.1 that deals with lap-splices in column rebars. 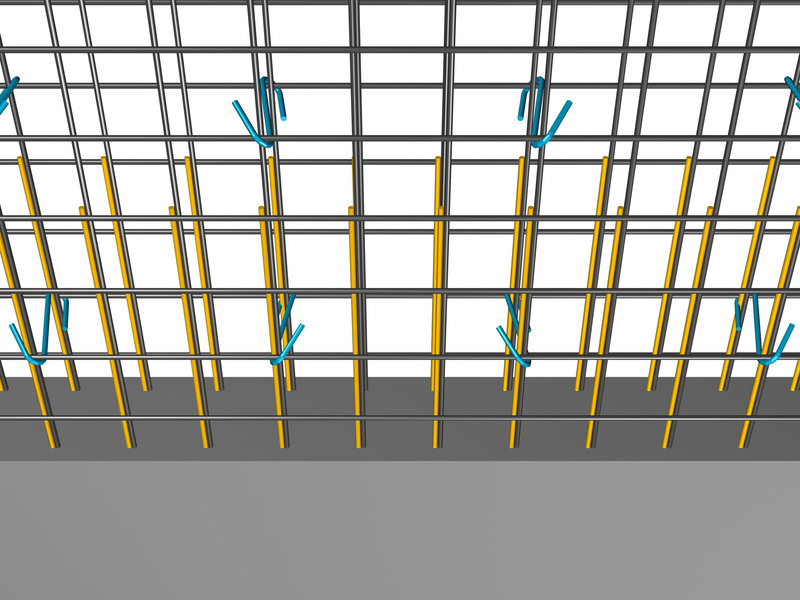 However, there is one critical difference that simplifies the lapping of the vertical reinforcement placed to the shear walls’ body: there are no stirrups thus the vertical co-linearity of the rebars is not necessary. In walls’ bodies lapping is being done with the use of a simple contact lap-splice parallel to the longitudinal axis of the element. 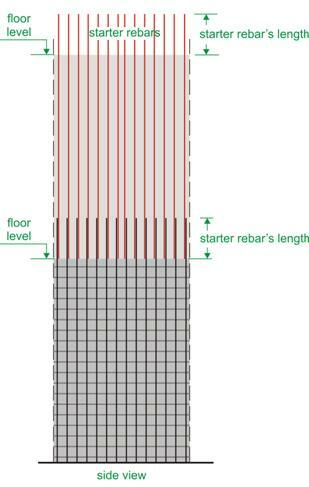 Generally, the lap length is not extremely large because the vertical rebars’ diameter is usually small. For a typical diameter Ø10/B500c, the required lap length is equal to 540 mm, for con-crete grade C30/37. For welded wire meshes the lap length is 70%, thus 0.70*540=380 mm for the particular example. Theoretically, the finest solution is to lap 50% of the rebars at a time in different heights.